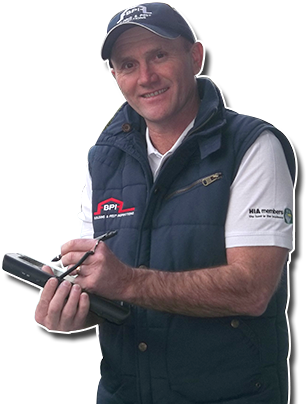 For all independent building, timber pest, pre-purchase and pre-sale inspection reports, wherever in Melbourne you may live, BPI is the company to call on. Our mission at BPI is to perform high-quality timber, pre-purchase and pre-sale building and pest inspections in Melbourne. We provide comprehensive, accurate and easy-to-understand reports. These reports greatly assist buyers in making the correct decision when purchasing a property. Our pest and building inspection service are one of the best in Melbourne, so when you are in need of a comprehensive, informative report on a building, come to the experts. BPI has a team of highly qualified building and pest inspection specialists in Melbourne, as well as throughout Victoria, Queensland, Adelaide and the New South Wales Central Coast. BPI provides a totally impartial, confidential and detailed service. We do not have any direct affiliations with real estate agents or pest control operators. As independent consultants, we act for you the client, to ensure that all diagnostic and rectification procedures are both practical and cost-effective. We aim to provide extremely prompt service, subject to access to the property. Reports can be express posted, faxed or emailed directly to you in Melbourne or anywhere else, to avoid any delays. We are one of Melbourne’s premier independent building inspections services and pride ourselves on the level of service we provide. Want to know more about our pest and building inspection services? For more information on any of our services available in the Melbourne area, or to book an inspection, please don’t hesitate to contact us on 1800 505 640. Our helpful staff are always willing to answer any queries you have, or provide additional information on our services. Take full advantage of the tax deductions you are entitled to as a commercial or residential property investor with a tax depreciation schedule inspection report from BPI. A BPI pre-purchase inspection is the most complete and comprehensive way to examine the condition of a property in Melbourne. If you are about to invest in something as big as a house, it pays to know exactly what you are buying. We’ll conduct a thorough inspection of the interior and exterior of your home including the roof and subfloor. Termite infestations are very common in Melbourne and throughout Victoria. If you suspect you have termites, contact us immediately; we will conduct a timber pest inspection using the latest technology, and provide a maintenance plan to keep them at bay. 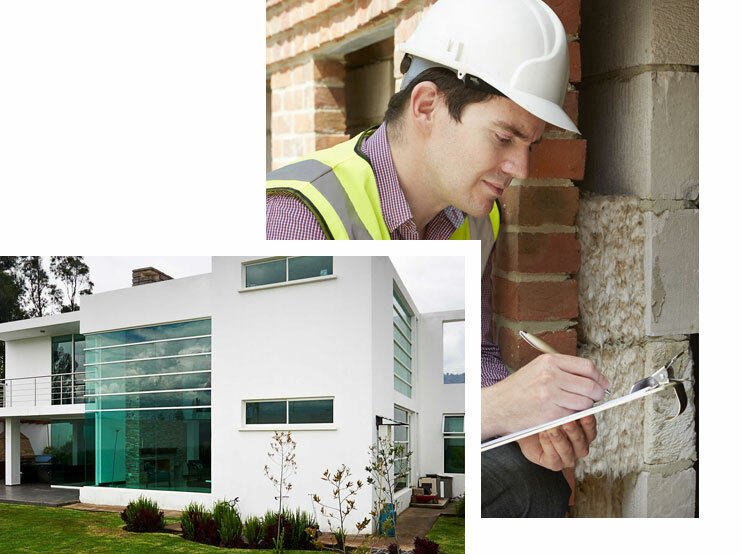 All of our consultants and building inspectors are covered by full public liability and professional indemnity insurance and are members of organisations such as The Master Builders Association, The Housing Industry Association, The Australian Institute of Building Consultants and The Australian Environmental Pest Managers Association. BPI consultants aim to give you the very best, cost effective, and most efficient service available. The BPI inspection system has been developed so that every important aspect of timber building and pest inspections is covered in our extensive reports. All BPI consultants have a range of technical equipment, including thermal imaging cameras, which are used to ensure that there are no unwanted surprises. The BPI timber, building and pest inspections reports are written in an accessible, easy-to-read format with a minimum of technical jargon. We can send you the complete building and timber pest report promptly within 24 hours of the inspection being conducted. All BPI consultants have a wealth pest control experience. Not only does your BPI consultant have hands-on training, but we ensure all BPI franchisees invest in professional development so that they are kept up to date with the latest industry innovations. Our consultants enjoy memberships of trade organisations such as the Master Builders Institute of Building Consultants, International Institute of Building Consultants, Housing Industry Association and the Australian Environmental Pest Managers Association. All of this makes us your go-to team for all your building and pest inspections in Melbourne. Exceptional customer service. BPI provides peace of mind at a very competitive price. Will not hesitate to recommend or to use their services again. Only need to provide an address and the rest it taken care of. Well done to Troy and his team. Troy did an excellent job- he was friendly, thorough and very good at communicating. I would highly recommend this service to anyone- ask for Troy! Troy was thorough in his inspection of the property I was about to buy. His report was clear and very informative. I plan to implement the recommendations he made to me regarding termite management. I highly recommend Troy’s services as a Building and Pest Inspector. Prompt service with detailed report which helped us to decide on our purchasing. Affordable price. Fantastic, knowledgeable and thorough service from the first phone call to the inspection. Troy is very knowledgeable and thorough and is able to explain it all to you. Very quick turn around from inspection to receiving the reports. Highly Recommended! The communication from BPI was quick and easily understood. Troy was friendly and knowledgeable- buying your first home can be daunting enough and so we are very glad we went with these guys. Having had 2 properties inspected by Troy it was amazing how stress free it was to attend and bid at the Auctions knowing that even if we paid more than originally intended, we knew with confidence we were still buying a solid quality home. We’ll be forever grateful for the full inspection and report in which all our questions were answered and for the extra advice we were given. We would wholeheartedly recommend Troy to anyone who is interested in purchasing a property. We used BPI for a pre-auction inspection and had a very good experience with them, Troy is very helpful and knowledgeable. Although we were very short on time, he ensured that he completed the inspection within our limited time-frame and sent us our report as soon as he could. We definitely recommend them for any building or pest inspection work! BPI was a great service. Really nice and provided me with the detail I really needed before purchasing the property. I thought that I knew the property and didn’t think I needed it but the money I spent with BPI was worth every cent. BPI was a great service. Really nice and provided me with the detail I really needed before purchasing the property. I thought that I knew the property and didn’t think I needed it but the money I spent with BPI was worth every cent. Thank you again BPI for your work on these matters. We appreciate your efficiency and honesty. it’s nice to know that there are still good, honest and reliable professionals out there!,So thanks mate. We contacted Troy on two occasions, once for a pre-purchase building and pest inspection, the other after we had bought a property. On both occasions Troy was pleasant to deal with, very efficient, happy to book in a mutually beneficial inspection time and very thorough in his inspections and reporting. Following both inspections we had a number of questions that we contacted Troy with. He was more than happy to assist on each occasion and spent time explaining in lay-mans terms what we had asked for. It would be difficult for me to list any companies that provide this level of before, during and after-sales service. We highly recommend Troy and BPI.